Eczema is a term that is used to describe inflammation of the skin. Eczema is a common skin condition which creates the uncontrollable & reoccurring urge to itch and scratch that just doesn't stop. Unfortunately, this can result in a larger red rash that rash when itched more can turn into a patch of dry scaly skin or a blister-like sore that oozes. The skin is irritated, for various reasons, and the sufferer itches to seek relief. Eczema can affect any part of the body; however, it usually occurs on the hands, feet, elbows, and legs.There are many different causes for eczema. Eczema outbreaks and flare-ups happen to different people and for different reasons. 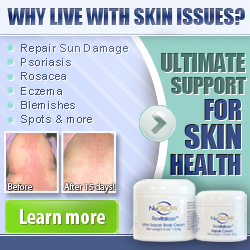 Although there is no one cause for eczema, those with sensitive skin are prone. Certain foods, certain chemicals, the weather, airborne allergens and stress can cause trigger a flare-up. There are steps you can take to treat it and prevent flare-ups. Keep your skin well moisturized & try to determine your trigger factors and avoid them. Keep a daily journal of your day. Document all the foods you eat, what activities you were doing, what products came into contact with your skin and so forth. Compare your journal to an outbreak. Proper bathing and showering will not only treat eczema, but also prevent more outbreaks. Most medical professionals recommend short showers or baths. Lukewarm water with no bath bubbles is advised. Eczema suffers should also limit the amount of scented shampoo, conditioner, and soap they use. Opt for all-natural or organic instead. Although not necessarily an all-natural cure, lotions and creams should be applied immediately following a bath or shower to lock in the moisture. To moisture your body from outside is not sufficient, keep it moisturize from inside also. The most natural and easiest way to do so is to drink lots of water. Keep your body hydrated and it will help your skin, making eczema easier to manage. Above it was stated that short baths and showers are recommended. The only exception to this is when oatmeal is used. Oatmeal tends to have a calming effect on the skin. There are all-natural oatmeal bath product sold at most department stores and drug stores, but you can easily make your own mixture. Honestly, the oatmeal sold at supermarkets will do. Add two or three cups to a bathtub filled with lukewarm water to help to cure eczema. You want to eat skin healthy foods, but some of these foods may trigger an outbreak or flare-up. For example, fruits are known to help against premature aging, but seeded fruits are a common eczema cause. You should keep a daily log of your food and drink consumption. Use this to determine what you ate or drank before each outbreak. If you notice a pattern, permanently adjusting you're eating habits. All-natural supplements have proven helpful in many eczema patients. Research natural supplements that can help to treat, cure eczema and work on adding these supplements into your diet. Do so slowly and one at a time, so you know which works and which doesn't. Supplements come in over-the-counter format, but most are found naturally in foods too. Good examples include fish oil, vitamin E, and vitamin C.
Lemon is helpful in curing eczema. Mix eight drops of lemon essential oil in 250ml of Luke warm water with one table spoon of honey. Soak a linen cloth in this mixture, squeeze out excess mixture and gently place the wet cloth on the area affected from eczema. Leave the cloth for 15 minutes and repeat this thee times a day. It will give relief from the infection and will also counter the urge of itching, scratching. One of the ways to stop eczema outbreaks is to determine the cause. Get started by familiarizing yourself with the most common causes. 'Rachel Anderson' alternative medical practitioner and researcher is the creator of eBook "Eczema Free Forever™" who has shown natural eczema treatment systems, certainly a successful way to seek relief from eczema. You can learn more at "EczemaFreeForever.com"
A secret to cure eczema which has helped Thousands people to cure Eczema with home/natural remedies. To Get 100% all natural Remedy to Relieve eczema symptoms without any side effects grab "Eczema Free Forever™"with 60 days money back guarantee. 1. How to Cure Eczema Without the Need of Any Medication. 2. How to Focus on the Root Cause of Eczema - Rather Than Just the Symptoms. 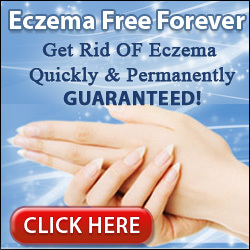 To Get Relief From Eczema Prblem Use Remedies Given in "EczemaFreeForever.com"